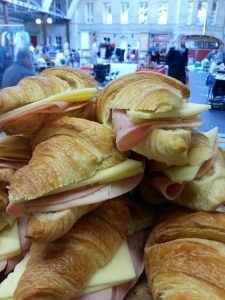 Here at Into Coffee we feel it is important to encourage positive attitudes to the environment and reduce waste where possible. 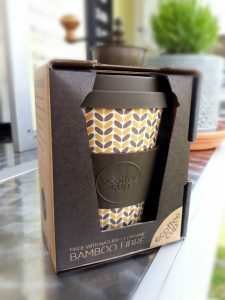 We are really pleased to announce that we are now therefore selling a range of lovely great quality reusable cups by a company called ‘Ecoffee Cup’. They’re made from bamboo. SPECIAL OFFER: Buy an Ecoffee Cup from us and well give you a half price coffee to drink in it! Also, when people come to our cart with their own reusable cup we give a discount as it saves us using our cups and therefore reduces waste. Single use plastic is a major environmental problem and we are glad to say that we no longer use plastic straws. 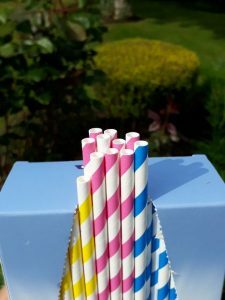 Instead we now have paper straws which are biodegradable or recycleable. They also happen to look really nice! Although we prefer cash (please) we realise that sometimes cash is not always convenient / possible and we have therefore decided to offer people the opportunity to pay by card; £5 minimum spend. Contactless payments are also supported. We however must stress that this is totally reliant on there being an internet / data signal in the area of the event.